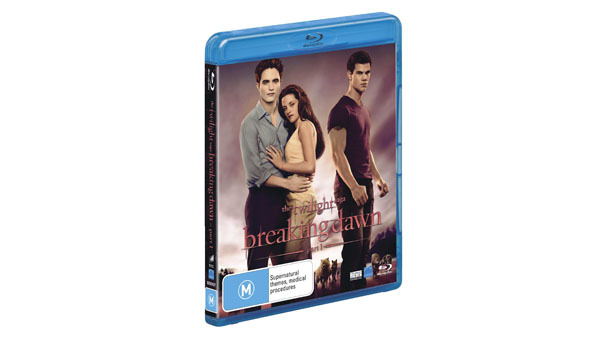 The Twilight Saga phenomenon that has taken the world by storm is back, with Sony Pictures Home Entertainment readying to release The Twilight Saga: Breaking Dawn Part One on Blu-ray, DVD and Digital Download on 15 March 2012. As one of the highest grossing films of 2011, the fourth instalment of the five-part story celebrates the captivating union of Bella and Edward while also hinting at the drama that awaits fans in the finale of the epic series. The home entertainment release of the much anticipated film will give every fan the chance to relive the true magic of The Twilight Saga: Breaking Dawn Part One, featuring the enchanting wedding of Bella Swan (Kristen Stewart) and Edward Cullen (Robert Pattinson) that captivated millions of fans worldwide. Available on four separate disc formats, each release of The Twilight Saga: Breaking Dawn Part One is tailored for every Twilight enthusiast. From audio commentary with highly acclaimed director Bill Condon to an in-depth six part documentary about the making of the film – ‘Love, Death, Birth: Filming The Twilight Saga: Breaking Dawn Part One’, fans will be forever entertained with the range of breathtaking special features. The Twilight Saga: Breaking Dawn Part One will be available to rent and buy on Blu-ray and DVD and Digital Download from 15 March 2012.